I saw the movie War Room last week. I was not expecting to love it as much as I did. I won’t get into the details of why but I’m glad I was wrong. I really really liked this movie. But this isn’t the place for a movie review. I’m actually writing this post for those of you who liked the movie too and felt convicted to pray more intentionally. While the movie promoted the idea of a prayer closet, I know not everyone has the freedom to move their clothing over to another closet and devote that space to prayer. There are ways around that, of course, but for some people, something else might just have to work. Here’s what I’m doing. I’m using a Stampin’ Up! 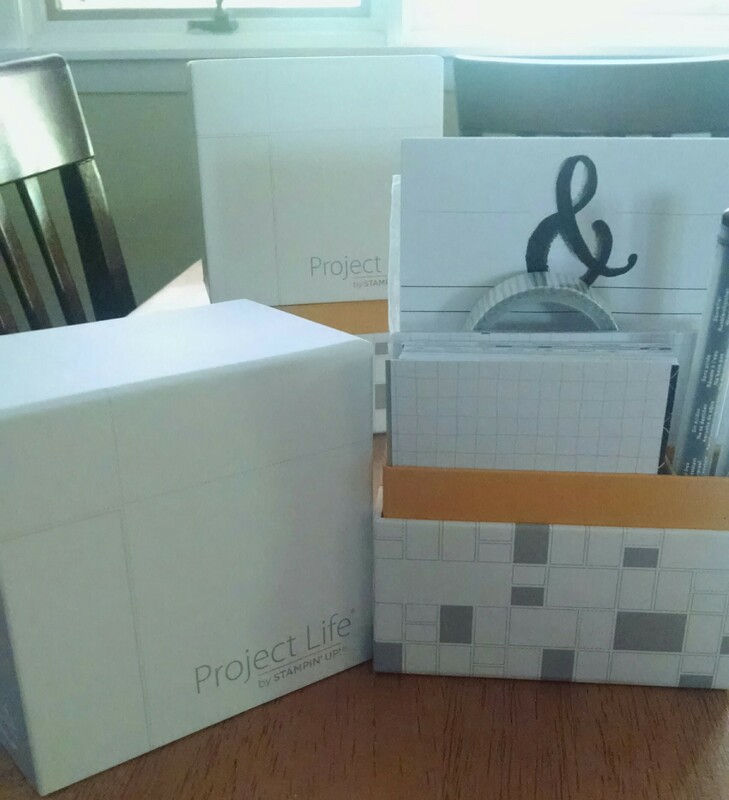 Project Life card kit and my bible. This quick video that SU! made shows you the various cards in the kit. So, you’ve got your cards, some stickers, a little washi tape and the pens all right there. I keep this on my telephone desk and when I’m reminded to pray for something, I pull a card, jot myself a note, write down a scripture or hymn or anything regarding that prayer and either put it in my prayer journal with a little washi, or put it in the back of the box to put away later. You can even use the albums and page protectors (click to see) created specifically for the Project Life products to create a unique and memorable prayer journal. And yes, I know I could just make due with a spiral notebook or even just index cards. But this is another way to be inspired a bit more, I guess… and I just wanted to pass it along! Either way you decide to do it, pray more and write them down if you can. It’s especially gratifying if you can look back and write when and how God answered your prayers too. This entry was posted in Project Life. ← April 1 funny – Google’s Smart Mailbox!